Monarch Air Group provides private air charter in Omaha, NE. Our clients benefit from top-notch service, unrelenting dedication to safety, wide selection of aircraft, and years of experience in chartering private jets. To obtain a free quote, please use our online quoting tool provided below, or call toll free 1-877-281-3051. The largest city in the state of Nebraska, Omaha, is located on the Missouri River and is nicknamed as the “Gateway to the West.” In accord with Kiplinger’s Personal Finance magazine in 2008, Omaha was ranked as the third best city in the United States to “live, work and play.” It’s a beautiful, vibrant, and hospitable city that has lots of sights to visit, such as the Omaha Community Playhouse, Holland Performing Arts Center, the Opera Omaha at the Orpheum Theater, the Blue Barn Theatre, the Rose Theater, the Durham Museum, the Joslyn Art Museum, and Lauritzen Gardens. 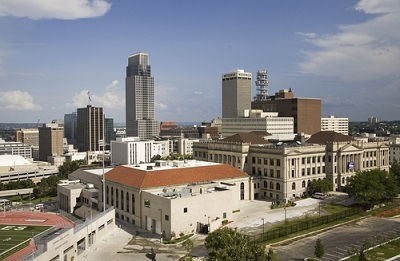 In the city’s downtown, there is Old Market Omaha with its dining, shopping, corporate conferences services, hotels, and high-class nightlife.